After the last few posts of fall colors, I’m doing a 180 with something I’ve talked about before and wanted to revisit with a couple of great examples in “setting the mood” with black and white photography. I’ve attached a shot I call “Farm Water Pump”. 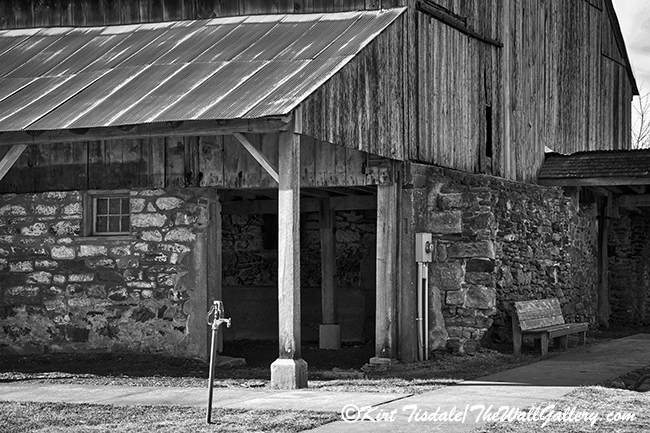 The subject matter of the pump is not the first thing you see, but does pull your eye into the photo of an old fashion water pump on a farm just in front of some stables. The lack of color sets a subdued mood that works well with this type of composition. 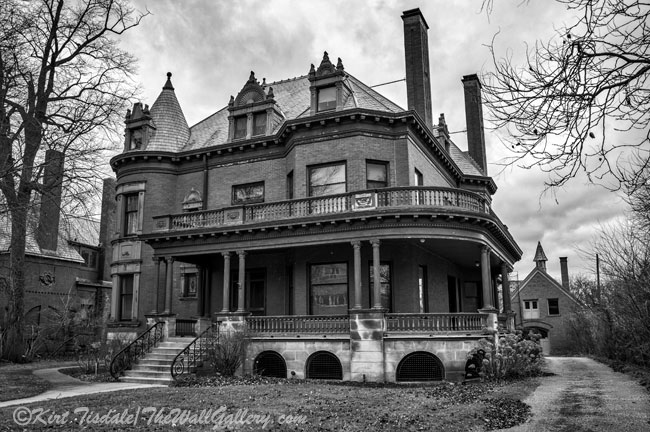 I have also attached a shot I call ” Heritage Hill Mansion in Black and White”. 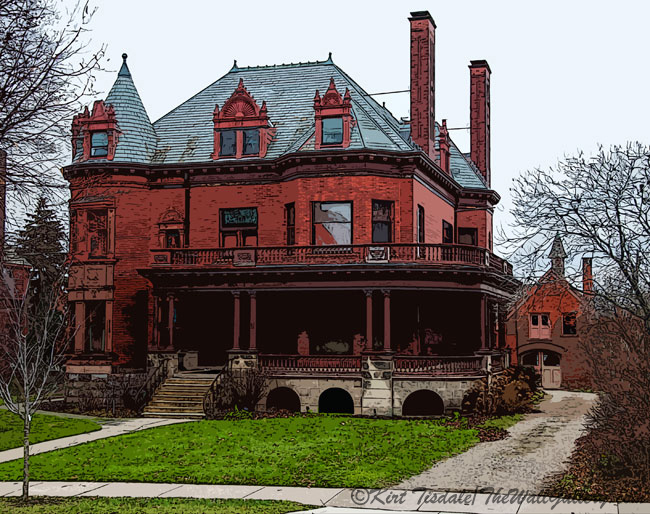 The subject matter in this particular shot fills the field of vision with old Victorian architecture. Seeing this same shot in color focuses the eye on the intricacies of the architecture like a ginger bread house. By presenting this same composition in black and white, the visual mood created is an almost “haunting” look to this structure. Not everyone is a fan of black and white photography, but don’t discount it in presenting certain types of compositions as it does create a mood. Thoughts? This entry was posted in Black and White Photography, Photography and tagged farm buildings, grand rapids, Iowa, kirt tisdale, online art gallery, photographer, rural, victorian architecture on November 26, 2018 by Kirt D Tisdale. 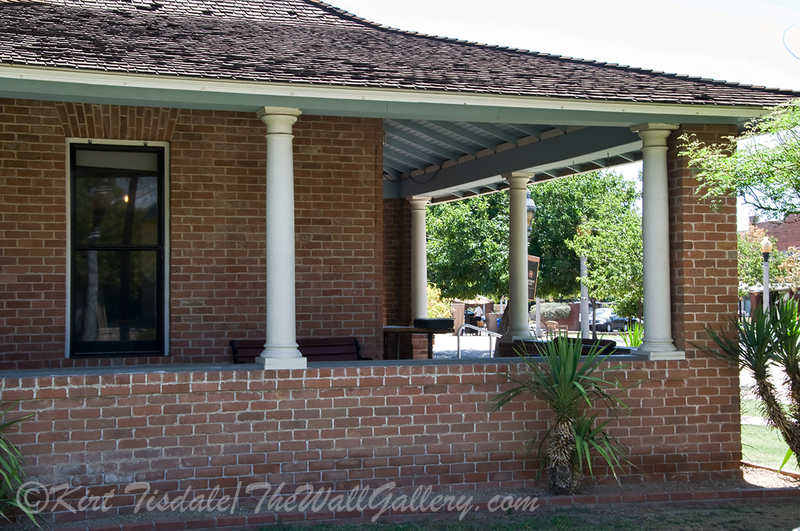 Using the same technique as last weeks featured print, this week I am highlighting a gazebo that I found on the grounds of the Sharlot Hall Museum located in Prescott, Arizona. 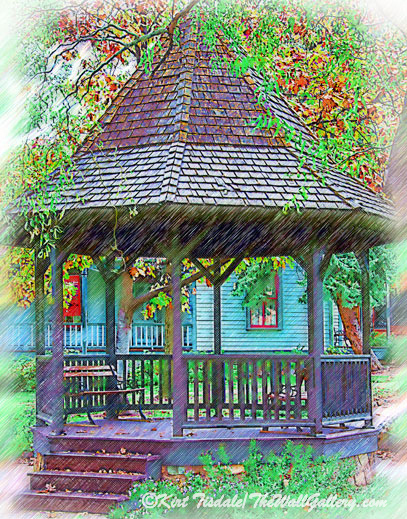 The gazebo is located behind a Victorian Home. Thoughts? 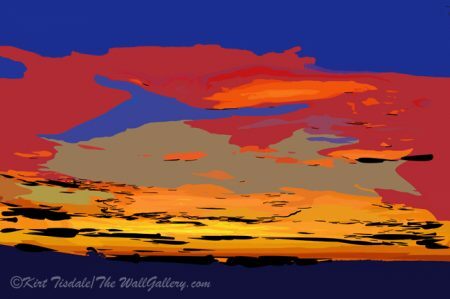 This entry was posted in Art Prints and tagged artist kirt tisdale, gazebo, interior design, online art gallery, prescott arizona, sharlot hall museum, victorian architecture on March 17, 2017 by Kirt D Tisdale. 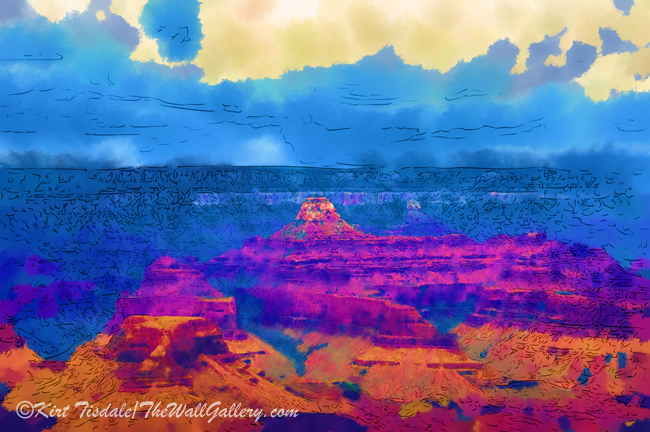 My oldest daughter and her husband live near us here in Arizona. She teaches and has been out on break for the summer. She has always had a love of photography and will periodically give me a call and suggest a photo shoot somewhere in the Phoenix area that she has been researching. She wanted to get together and do a shoot before she headed back to the classroom and her students. This go around, she picked Heritage Square in downtown Phoenix. Neither of us had been there and it sounded like a great opportunity. Heritage Square is located on block 14 of the original townsite of Phoenix. 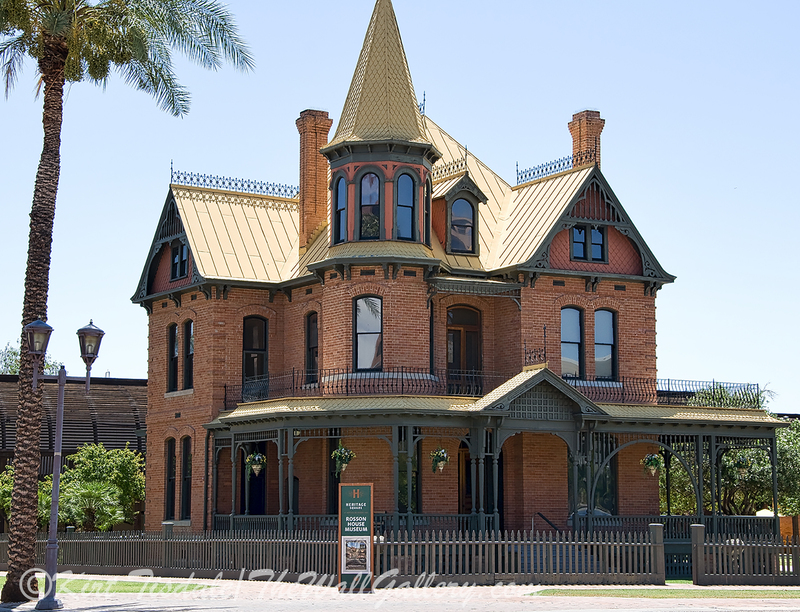 The crowning jewel is the restored Rosson House Museum. 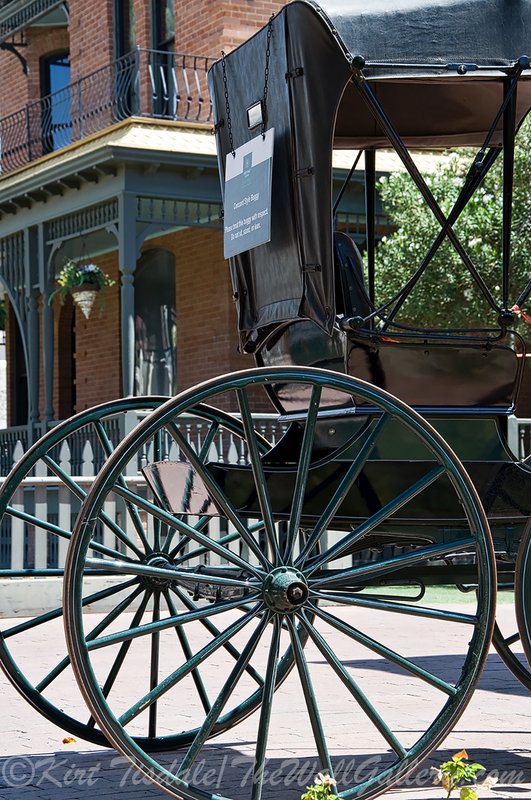 The square celebrates the city’s striking Victorian past with restored homes and buildings of that era, some housing award-winning restaurants, others museums. The square also adjoins Science Park, home of Arizona Science Center. The first shot was my suggestion to help her work with depth of field through aperture setting and shutter speed. 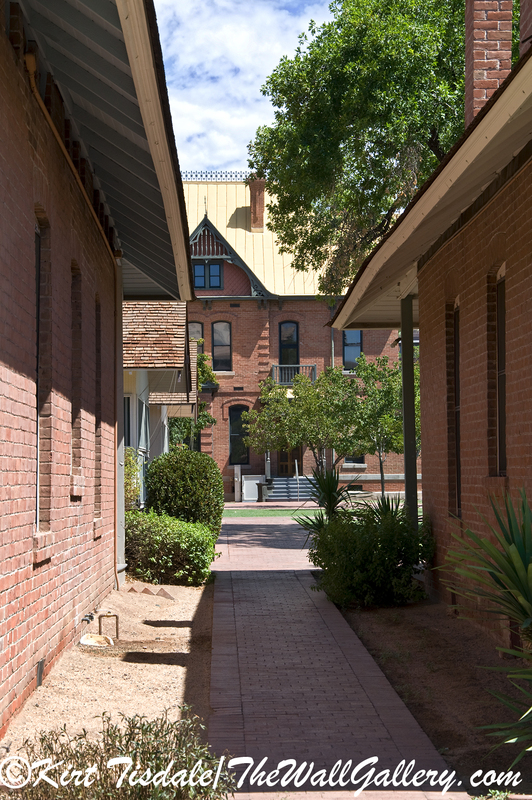 The setting is between two of the restored homes looking towards the Rosson House. This second capture grabbed my attention because of the wrap around porch, typical for this style of home in this era. And of course what type of a reminder of the era would be complete without the carriage parked in front of the carriage house for the Rosson mansion. My last two shots are of the Rosson House Museum. The home has been completely restored including furnishings true to the era. Beautifully done, the square is a great addition to downtown as it celebrates the history of what we know today as modern day Phoenix. Many of you might not be aware of the history of Phoenix. The region has hosted many nomadic tribes dating back to 9,000 BC, but was actually settled in about 1 AD for agriculture. A canal system was developed within the first 500 years enabling agriculture to flourish. Agriculture today is still one of the major industries throughout the surrounding desert. 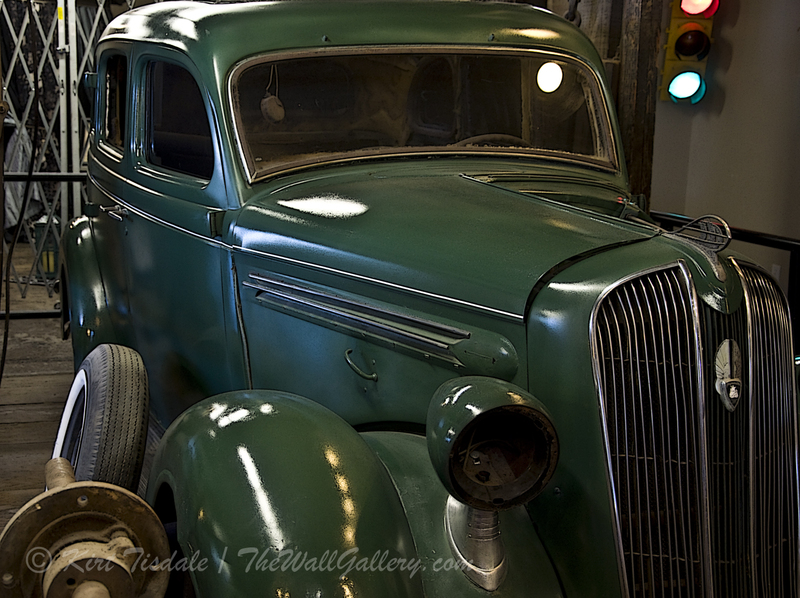 For detailed information; Wikipedia, History of Phoenix, Arizona. 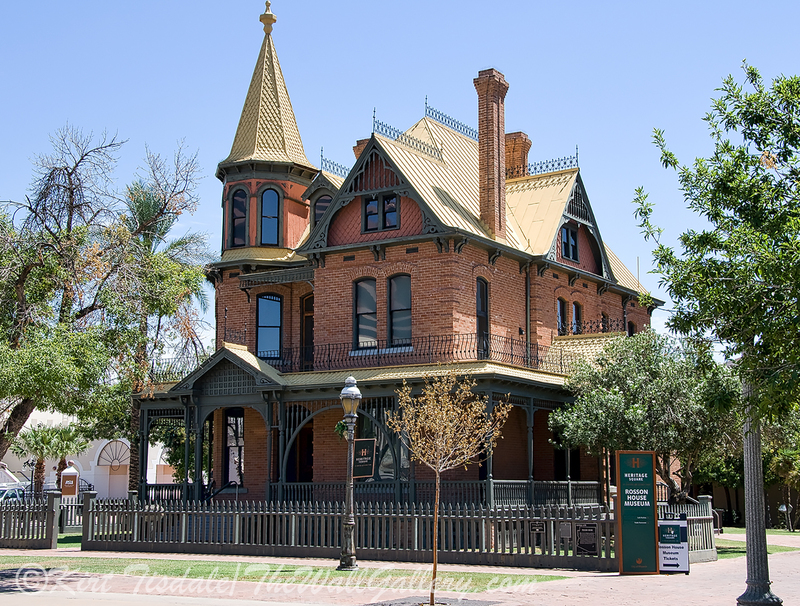 This entry was posted in Color Photography and tagged arizona, heritage square, hisorical, historic, museum, phoenix, photographer, rosson house, victorian architecture on August 15, 2016 by Kirt D Tisdale.